I write this post in memory of my dad, who died one year ago today. My dad was a brilliant man, an architectural historian by trade, who inspired in me the desire to pursue the knowledge of the truth, even if that truth might challenge popular convictions. So while there is an application towards Christian apologetics here, I want to frame it within the context of one particular fascinating mystery in the history of colonial Virginia, a mystery that captivated the thought and imagination of my dad…. Adam Thoroughgood was a 17th century English Puritan (roughly equivalent to an evangelical Christian today), who obtained his passage to Virginia as an indentured servant, in the 1620s. After paying off his indentured servitude, Throughgood returned to England, married a wealthy woman, and came back to eastern Virginia, in modern day Virginia Beach, to become one of the most prominent land owners in the colony. The traditional story was that Adam Thoroughgood built a brick home, in 1636, thought to be one of earliest structures of its kind in North America. None of the other surrounding structures, such as the slave quarters, have survived, but the Adam Thoroughgood house became one of the great prides of the area, as a U.S. National Historic Landmark, to boot, with all of its unique history…. or so it seemed. 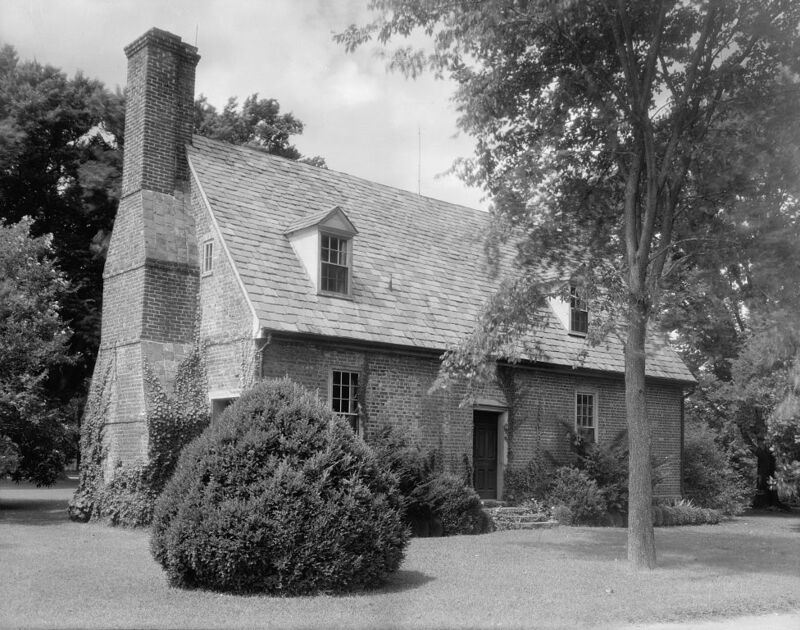 There were some who doubted that such a brick house could have been constructed at such an early date, in colonial Virginia history. But this was not popular, as there was high regard for the authenticity of the 1636 date. Nevertheless, the city of Virginia Beach eventually asked a team of consultants to investigate the traditional date, to see if the story could be verified. One of those consultants was my late father, George Alan Morledge, an historical architect, with several decades of experience working with the Colonial Williamsburg Foundation. My dad knew everything you could possibly ever know about early colonial architecture, right down to the type of nails used in home construction, by the decade. 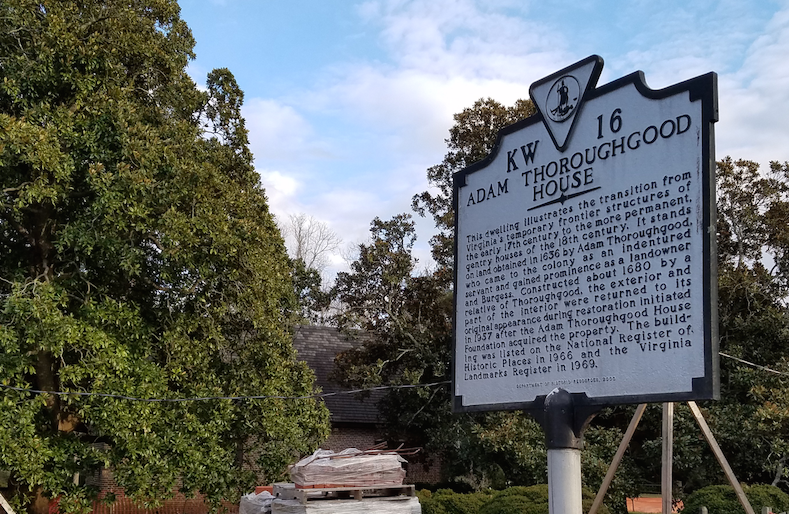 Historic landmark sign for the Adam Thoroughgood House in 2017… still with the wrong date on it for when the house was built (Click to enlarge). Following a few years of research, my dad began to have those same doubts about the traditional dating for the house. His architectural skills, along with inputs from other researchers, pushed for a later date around 1680, or even later, at least some forty years after Adam Thoroughgood’s death. As he explained it to me, the evidence he gathered in his report was largely convincing, except that there were still a few “true believer” holdouts who would not let go of the 1636 date. My dad’s work was a significant contribution, but it was not enough to overturn the popular view. He had told me that the date for the house had to have been in the early decades of the 18th century (1700-1720s). But how can you demonstrate this for sure? There was a need for scientific proof, to verify the ideas of my dad, and other researchers. This is where the science of dendrochronology came into play, the study of tree-ring dating. 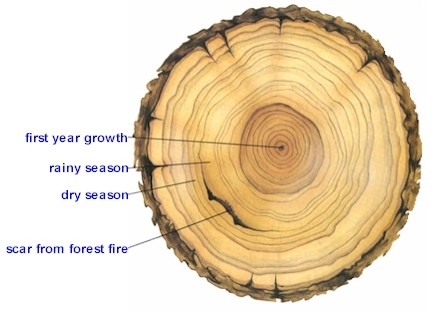 Put simply, trees grow rings in their wood, as seasons change, and it has been demonstrated to be a reliable guide for dating the ages of things, and establishing the history of climate changes, like droughts, etc. If the wood sample is of good quality, you can get back to identifying when a tree was cut down for use, down to almost the exact year. For the Adam Thoroughgood House, a good sample with the outer bark preserved was obtained, and the Oxford Tree-Ring laboratory was able to pinpoint the date of the home’s construction to about 1719, confirming the hypothesis that my dad, and others, had discussed. 1719 is a bit off from the traditional date of 1636. I recently took a visit to see the Adam Thoroughgood House, which is currently being renovated, and thus closed to the public. I met with some folks from the Virginia Beach department of History Museums to discuss my father’s research, and they told me that there are still a few die-hards, apparently, who hold to that early 1636 date. There are also tales that persist, that the old house is haunted, or the nearby woods enchanted, where an old Native American village was once discovered. Furthermore, there was a rumor of an underground tunnel, that was used by pirates in the colonial period. Despite claims from 20th century visitors, who supposedly remember playing inside this tunnel when they were children, archaeological studies demonstrate that no such tunnel has ever been found. Popular folklore makes for great storytelling. But when the preponderance of evidence challenges long held beliefs, a re-evaluation of those stories often reveals a far more interesting and enduring story. When the building reopens, later in 2017, to anticipate the 300th year of the building of the house, a couple of years from now, the City of Virginia Beach intends to rename the property to simply “The Thoroughgood House,” as it appears that it was probably Adam’s great-grandson, and not Adam, who first built the old brick house. Despite the controversy over the date, the property is still significant to Virginia and American history, a fine example of early 18th century architecture. For a history buff like me, I am glad that “The Thoroughgood House” will remain an historical treasure, providing valuable lessons for generations to come. Questioning the date of “The Thoroughgood House” does not inherently mean questioning the significance or the value of the house itself. So, why mention the “Adam” Thoroughgood House on a Christian apologetics blog, aside from my personal connection to the story, through my dad? Well, there is quite a bit to be learned from dendrochronology, the study of tree rings. Questioning the date, or interpretation, of something does not inherently mean questioning the significance or the value of that something itself. Bristlecone Pine, with tree rings dating back even to thousands of years ago. 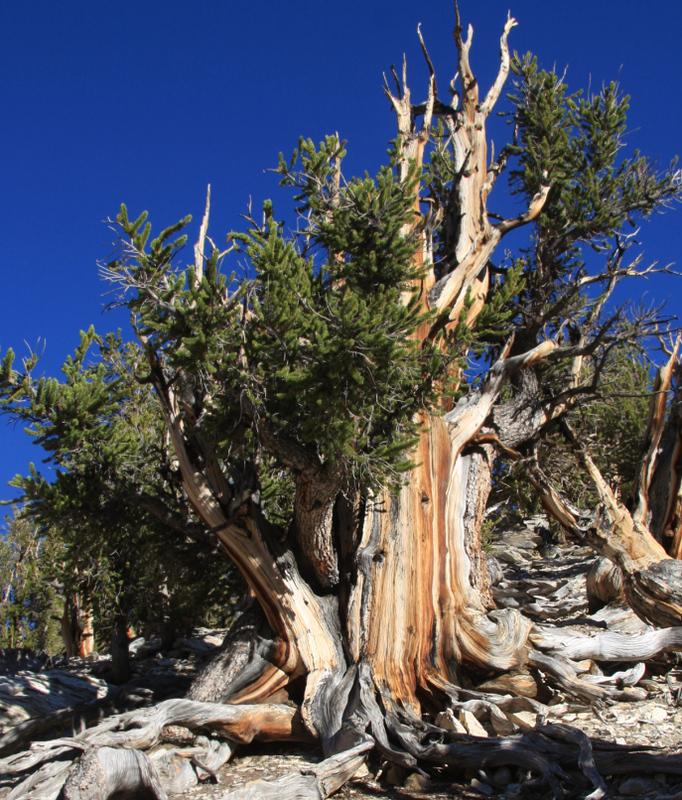 Some of the oldest living trees, the bristlecone pine, have been dated back to over 5,000 years old. When you combine that with the preservation over the years of dead trees older than that, cross referencing of multiple samples has led dendrochronologists to be able to date things back 11,000 years, with a high degree of accuracy. The study of tree rings has also been used to verify the validity of carbon-based, radiometric dating, along with other radiometric dating methods, as this classic paper by physicist and evangelical Christian, Dr. Roger Wiens, demonstrates. As a result, scientists are able to look back millions of years into earth’s history to tell a very interesting story of God’s Creation. 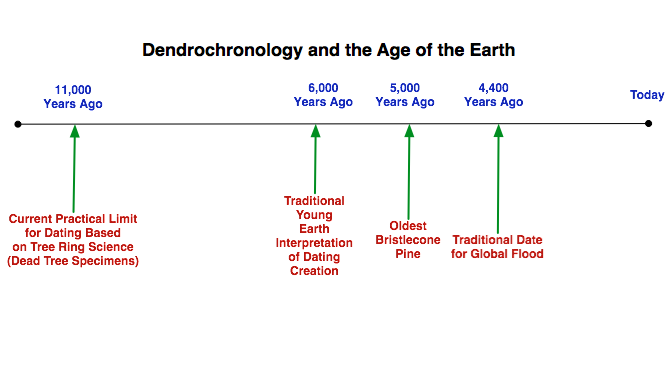 Dendrochronology, therefore, has served as a useful tool in helping to analyze the earth’s ancient and fascinating history. However, there are a number of Christians who question the reliability of these type of radiometric dating methods, as this would conflict with their interpretation of the Bible, that requires the earth to be less than about 6,000 years old. A popular new film by Christian educator, Del Tackett, Is Genesis History?, takes this very contrarian approach (Del Tackett is a well-known name among evangelical Christians, as he has been a spokesperson for educational materials produced by Focus on the Family). Furthermore, such Christians who accept a global flood that happened some 4,400 years ago, a standard Young Earth interpretation of the Bible, have had to come up with some creative explanations as to why the oldest bristlecone pines survived a good part of the year being utterly submerged beneath the flood waters. As should be apparent, tree ring science that helps us to go back 11,000 years ago creates a real problem for otherwise sincere Christians, who believe in a Young Earth, of about 6,000 years old. Even an honest Young Earth Creationist can admit that the science of tree rings is a difficult argument to overcome. I guess you could say that God created those multitudes of tree samples with 11,000 years worth of tree rings, as a way of testing one’s faith in a Bible interpretation of a 6,000 year old earth. But is that a type of apologetic argument of the Bible that a Christian can competently defend? 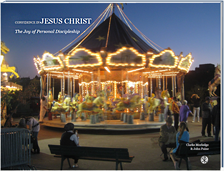 One may (and some do) still believe in a Young Earth interpretation of the Bible, for various theological and philosophical reasons, that can be quite persuasive to the believer, despite the scientific consensus. Many of my dear Christian friends are sincere, Young Earth Creationists, including many readers of this Veracity blog, and I want to be as open as I can to the possibility that Young Earth Creationism could be correct. Such friends of mine might actually be right on this one. One day, though that might be after this present age passes away, we will know for sure. Nevertheless, to currently hold and maintain such a view, a Young Earth Creationist has to realize that they are standing against an overwhelming amount of scientific evidence, as science is currently practiced, including the testimony of really old trees, created by that same God of the Bible. To deal with this challenge, a whole new generation of Young Earth Creationist scientists have come along to find their own scientific answers to support the notion of a Young Earth, while at the same time, expending a lot of effort to try to debunk the type of mainstream science that conflicts with their beliefs. No amount of evidence from God’s natural revelation will necessary dissuade such Christians from their interpretation of the Bible. However, not everyone can stomach that kind of cognitive dissonance. Thankfully, there are other approaches to the age of the earth issues, that need not cause someone to question the Bible itself. There are solid Biblical arguments that demonstrate that the Bible itself does not definitively speak on the age of the earth. You can still have a conservative, high view of the Bible, as the inerrant, written Word of God, and still accept the scientific consensus for an Old Earth. True, there are people who reject all of Christianity, because they no longer find the traditional interpretation of the Bible, as teaching a Young Earth, to be plausible. In their minds, either the earth is 6,000 years old, or the Bible simply is not true. Such skeptics go with the science, and thereby reject God, and the Bible, in the process. But this type of binary, either-or thinking, need not be the case either. Questioning a particular interpretation of the Bible, regarding the dating of the earth, is not the same as questioning the Bible itself. Do a search on the Veracity blog for topics like “creation” or “creationism,” and you can find out more, as to how different Christians approach this issue, while still honoring the authority of the Bible. This entry was posted on Tuesday, March 14th, 2017 at 11:23 pm	and tagged with adam thoroughgood house, creation, Creationism, Young-Earth Creationism and posted in Apologetics. You can follow any responses to this entry through the RSS 2.0 feed.